Stuart Buckingham and his team specialize in Residential Sales, Auctions, Commercial Sales, Residential Leases, Special Projects and Commercial Leases. Buckingham and Company sponsor several of our major events for the year, including the: Buckingham Triples Social Bowls, Buckingham Social Bowls and the Buckingham 1000 Tournament. 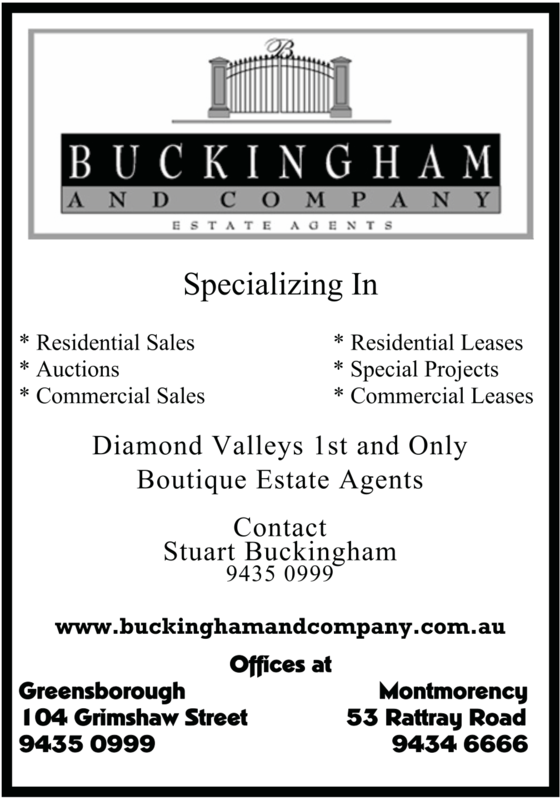 Please contact Stuart or his team at Buckingham & Company Real Estate Greensborough on 9435 0999. 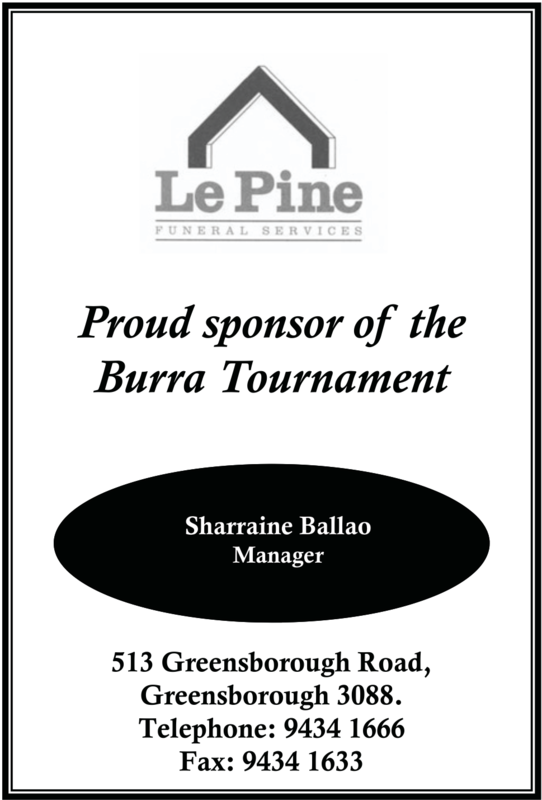 Le Pine Funeral Services are the major sponsors of our Australia Day Tournament and our Queens Birthday Tournament. Please contact Sharraine or her team at Le Pine Funeral Services Greensborough on 9434 1666.